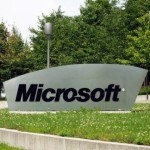 Microsoft (Nasdaq: MSFT) stock is due for a quick rebound. The company's Q2 earnings had investors and Wall Street slashing its share price by 10% on Jan. 27. But Satya Nadella - Microsoft's new CEO - is a visionary. He knows what it takes to compete against the other mega tech firms out there... and win. 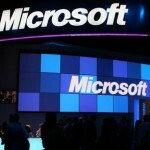 Microsoft Corp. (Nasdaq: MSFT) stock has been drifting lower this week as investors don't know what to expect from the Q2 2014 earnings due out today (Thursday) after the bell. MSFT stock fell 0.66% Wednesday to $35.93. The stock is down nearly 4% year to date. 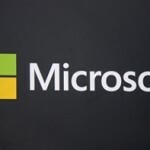 Not long ago, the future of Microsoft Corp. (NASDAQ: MSFT) was slipping through its grasp. Today, the tech giant is using Kinect to win big on a breakthrough that will literally touch millions of lives. It is one of the reasons why Microsoft's stock has gained more than 20% this year. You may recognize it as the best-selling add-on to the Xbox 360 video game. But it's much more than that. It represents a revolution in how we will communicate with our computers, our TVs, and our smartphones. For Microsoft, Kinect is literally a game changer. They lead the world in the technology behind it and it promises to be big. But not just for Microsoft...not by a long shot. The magic behind Kinect is that it responds to body gestures. And while Kinect did debut to rave reviews, Microsoft executives really didn't understand how Kinect could change the world -- and rack up new sales. But since its introduction in 2010, hackers have found dozens of very cool uses for Kinect-- none of which did much for Microsoft's bottom line. This got the software giant to thinking that maybe they were sitting on a potential gold mine. That's why Microsoft is now tapping the genius of young entrepreneurs to better monetize the technology behind Kinect. You know, the type of guys who live and breathe cutting-edge high tech. In fact, Microsoft recently picked 11 startups to work at its Kinect development offices in suburban Seattle. It's a savvy move. After all, these guys get out of bed every day looking to create the Next Big Thing.